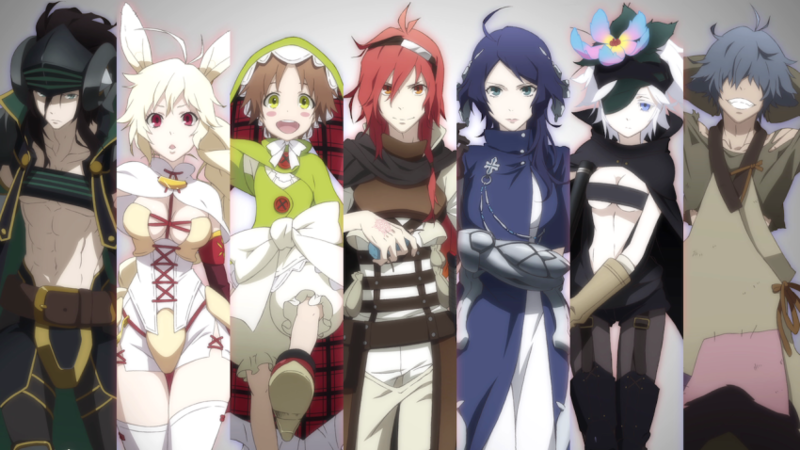 The fantasy drama Rokka: Braves of the Six Flowers makes a very interesting comparison with another Anime Limited release, Grimgar: Ashes and Illusions. Although they’re dissimilar in tone and characterisation, they both begin as familiar kinds of fantasy stories that we, the audience, associate with epic-length adventures. But then Rokka and Grimgar scale their stories down. In each case, the focus is on the details of the players’ relationships and rivalries, character pieces rather than epics. Grimgar used the “teenagers from Earth whisked to another world” plot, but then focuses on characters who aren’t good enough for high-level adventure. That means they’re stuck in low-level scrappy battles, which can be more horrible and traumatising than anything in a Peter Jackson film. Grimgar is a story of everyday, mundane, universals, about youngsters coming to terms with death, grief and their own mortality, and how the sun still rises whether they want it to or not. For its part, Rokka starts as a quest. A fantasy world is threatened by a “Demon God” and its horde of hideous monsters, and it’s up to a small band of characters to travel to the God’s domain and take the blighter out. 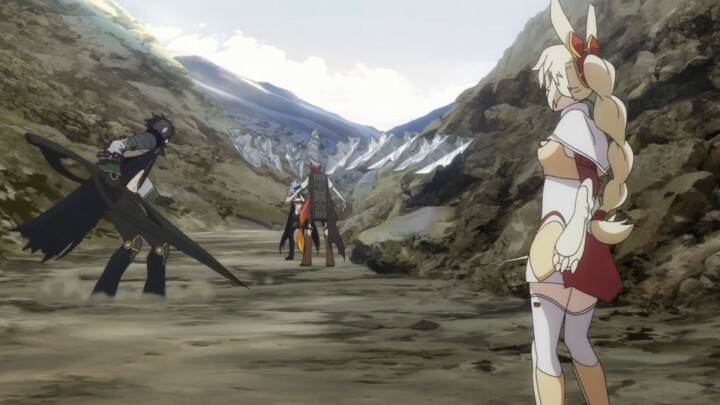 One of Rokka’s variations is in its world-building. Rather than samurai fortresses or European castles, the dominant buildings in Rokka are step pyramids and some of its costumes and décor suggest South America. Many British viewers learned about this continent in the 1980s, thanks to another anime, Mysterious Cities of Gold. In Rokka, we’re told the coming battle is just one in a long series of fights, with six warriors being chosen every few centuries to tussle with the Demon God. It’s an interesting cyclical twist on the quest story, perhaps inspired by Japanese children’s franchises. TV shows like the Super Sentai series (the basis of Power Rangers) and the magic girl PreCure have hero teams fighting evil, but all the characters get switched out for new ones regularly and a brand “new” story begins. Toei, which makes both franchises, assumes the child viewers will grow into and out of the series very quickly, and doesn’t try to hang on to older fans. The team format’s the important thing, not the individual characters. Back to Rokka. Adlet is arrested and imprisoned in the first episode for his insolence, but he receives his “flower” mark, so he’s indeed destined to fight the Demon God. He’s released by one of his fellow warriors, a girl; this is Nashetenia, a playful, merry princess who seems completely unworldly. But soon Adlet will encounter a far more mysterious woman warrior. She’s called Flamie, who wields new-fangled guns and seems to regard the whole world as her enemy, despite having her own clear flower mark. She’s voiced in Japanese by the prolific actress Aoi Yuki; as the story goes on, there are some analogies between Flamie and Kayo, the pivotal girl character whom a time-traveller tries to save in Erased. Okay, so Rokka unexpectedly becomes a mystery show. If you’ve seen Kyoto Animation’s Hyouka!, you’ll know how big mystery stories are in Japan: Agatha Christie, Sherlock Holmes and the home-grown giant Edogawa Ranpo. Rokka brings together two of the mystery story’s classic templates. One is the Whodunit?, in which everyone comes under suspicion; the other is the Locked-Room Mystery. In Rokka, the warriors come together as they head towards the Demon King’s land. But then they hit two alarming snags. One is that they’re stymied in a temple and the surrounding forest, all sealed in a magic barrier that appears impenetrable. And the second is that destiny dictates that six warriors will come together… but instead, seven flower-marked warriors turn up in the temple. One of them must be fake, and probably the engineer of their predicament. But can the warriors work out who it is? Andrew Osmond is the author of 100 Animated Feature Films. Rokka is released in the UK by Anime Limited.